As news that Britain had voted to exit the European Union triggered a global financial panic, it became clear that the Brexit vote will have vast and unforeseen consequences throughout Europe and beyond. The process of European integration launched just after World War II, intended to build political institutions that would make a new world war impossible, is unraveling. Europe is now preparing for years of bitter negotiations over the legal and financial conditions of Britain’s withdrawal from the EU and its treaties. With trillions of euros in trade and financial contracts at stake—and intra-EU tensions sharpened over many years by the Greek debt crisis, the Middle East refugee crisis, and US-sponsored wars in the Middle East and Ukraine—divisions within the EU are set to intensify. Top officials made somber and pessimistic comments about the prospects for Europe and the world in the wake of the Brexit vote. Against this specter of a new war in Europe, Merkel had little to propose besides vain hopes that the EU could present its hated policies of austerity, war and police repression in a more favorable light to its remaining citizens. “We therefore have to ensure that citizens get a concrete sense of how the European Union contributes to improving their own personal lives,” she said. In fact, a key factor in the Brexit crisis is the reality that masses of voters in Britain, as across Europe, have concluded that the EU is a socially regressive institution hostile to their interests. 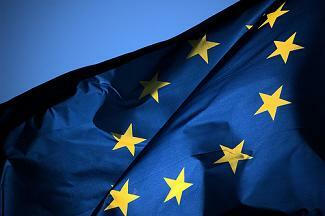 A tool of European capitalism, it is, moreover, irrevocably torn by the competing interests of European states. Merkel did not attempt to hide rising intra-EU tensions. Even as she called for unity, the German chancellor, whose government only two years ago repudiated the policy of military restraint pursued by Germany after World War II, said she would defend first and foremost Berlin’s interests. “The German government will pay special attention to the interests of German citizens and the German economy in that process,” she declared. On Monday, Merkel will host French President François Hollande and Italian Prime Minister Matteo Renzi, who are meeting today in Paris, for a one-day meeting to prepare an extraordinary two-day EU summit. Even as EU officials attempt to construct a negotiating framework, however, tensions are already erupting between different European countries. British officials flatly rejected proposals to share sovereignty over Gibraltar with Spain. Above all, Brexit is stoking tensions between the two largest remaining EU economies, Germany and France. Yesterday, Hollande demanded “profound change” in the EU, focusing on strengthening European military and police powers and generating more economic growth. While Hollande’s comments broadly echoed those of EU officials, who have called for expanding the EU’s repressive powers and its ability to wage foreign wars, his remarks on growth were a barely veiled criticism of Germany, in line with longstanding French calls for a looser monetary policy. These demands have faced determined and ever more overt opposition in Berlin since the eruption of the Greek debt crisis, shortly after the 2008 Wall Street crash. “The calculation of the [French] head of state is that Angela Merkel, who blocked this, will now have to give way,” an anonymous French presidential staffer told Les Echos . There is no indication, however, that Berlin and Paris will be able to resolve the escalating conflicts within the euro zone. As stock markets collapsed globally, former US Federal Reserve Chairman Alan Greenspan appeared on the financial news channel CNBC to declare that, due to the intractable political conflicts unleashed by the crisis, it would prove to be more serious than the financial crashes of 1987 and 2008. What has emerged is the breakdown of the EU and the impossibility of overcoming contradictions deeply lodged in the historical and economic development of Europe on a capitalist basis. Far from uniting Europe, the relentless assault on workers’ social and democratic rights and the escalating military interventions that have proceeded since the dissolution of the USSR in 1991 have discredited the EU and undermined the relations established during the Cold War era. The greatest danger, however, lies in the suppression of the independent interests of the working class, the only social force that can overcome the deepening crisis and drive to war. Opposition to the EU in Britain was organized not from the left, from the standpoint of the independent political interests of the working class, but from the right—by extreme nationalist elements within the Conservative Party in alliance with the far-right, anti-immigrant UK Independence Party, who attracted around them reactionary petty-bourgeois, pseudo-left elements such as George Galloway. The European allies of these forces predictably praised the Brexit and called for a further breakup of the EU along nationalist lines. The rising tensions within the EU confront Washington with serious problems. The NATO military alliance encompassing all of the major European powers is central to the global imperialist policy of the United States. US President Barack Obama aggressively campaigned against Brexit, traveling to Britain to threaten that the UK would be relegated to “the back of the queue” in its relations with the US if it exited the EU. With NATO now facing increasing internal conflicts, or even possibly outright dissolution, Obama took a more conciliatory stance yesterday.